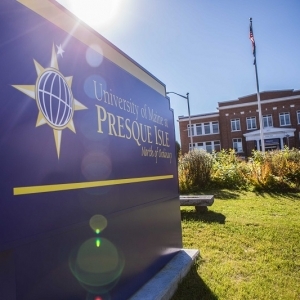 The University of Maine at Presque Isle will present Homecoming 2018: Friends and Family Weekend from Thursday to Sunday, Sept. 27-30, featuring entertainment and family-friendly activities. From a show by Kotchegna African dance company to an explosive fireworks display to multiple alumni games for students and the public, all are invited to join the University for its annual Homecoming weekend. Festivities kick off on Thursday, Sept. 27 with an Alumni Coffee Hour for students in the Owl’s Nest from 12:45 to 1:45 p.m. This coffee hour is presented by the UMPI Alumni Association. From 5-7 p.m., the Women’s Basketball team will host a Spaghetti Supper Fundraiser in the Campus Center Multi-Purpose Room. Tickets are available for purchase through the Athletics Department or at the door for $8. That evening, a Luau Dance Party will be held for students from 9 p.m. to 12 a.m., DJ’d by Jake Ball in the MPR. Activities continue on Friday, Sept. 28 with a Walk on the Bike Path, starting at Gentile Hall and going to Riverside Park from 12 to 1 p.m. For art lovers and those who want to try their hand at painting, a Paint & Punch event will be held from 2 to 4 p.m. in the Campus Center. Cost is $30 per seat; seats are limited to 40 individuals. Friends and family should check in for the weekend in the Campus Center from 4 to 7 p.m. All are invited to join in for Oktoberfest & Pints with Professors on the Campus Center Lawn and Owl’s Nest from 4:30 to 6:30 p.m.; cost is $9 for those without a meal plan and a cash bar will be available (proper ID required). Don’t miss the Main Event during this year’s Homecoming Weekend—Kotchegna African Dance Company at 7 p.m. in the Auditorium at Wieden Hall. Under the direction of Vado Diomande, this New York-based dance troupe will bring to life ancient stories and legends of Africa’s Ivory Coast through dance and drumming. The event is free and open to the public. 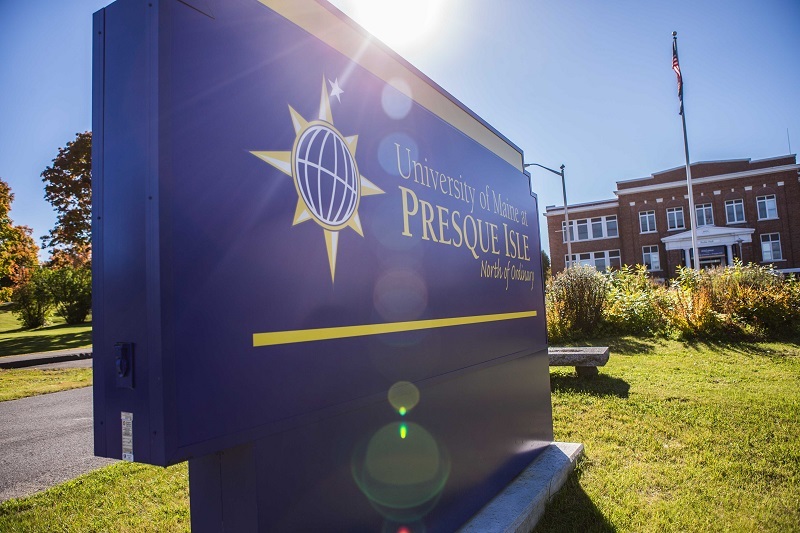 Weekend fun begins on Saturday, Sept. 29 with the Third Annual UMPI Alumni Hour in the MPR, presented by the UMPI Alumni Association and Office of University Advancement. This event will begin at 9 a.m. with a social and refreshments for alums and friends. At 10 a.m., the official program will get underway, with a “State of the University” address by President Ray Rice and recognition of three alumni award recipients. Immediately following, from 11 a.m. to 2 p.m., participants can enjoy a Block Party at the Tennis Court Parking Lot, or Gentile Hall if it rains. The party includes music by Heath Bartley, a beer tent, food and community vendors, as well as a car show in the Center for Innovative Learning Parking Lot. At 12 p.m., support the Owls Women’s Soccer team as they take on SUNY Canton at the Park Family Field and continue the Owl spirit with the Men’s Soccer team as they battle SUNY Canton at 2:30 p.m. Relax and enjoy a Wine Tasting & Pairing at the President’s House from 4:30 to 6:30 p.m. (proper ID required). Non-alcoholic beverages will be available for students and participants under the age of 21. Honor past coaches and athletes at the Athletics’ Hall of Fame Dinner in the MPR from 5:30 to 7:30 p.m. Cost is $20; for more information, email sandra.mcdougal@maine.edu. The evening ends with a bang, complete with fireworks and a bonfire. Enjoy one of the region’s biggest fireworks displays at 8 p.m. on the Park Family Field. Then head over to the Bonfire with S’mores behind Gentile Hall at 8:15 p.m. The festivities continue on Sunday, Sept. 30. Parents and students are encouraged to meet at the Park Family Field at 9 a.m. for the Parent-Student Disc Golf Tournament, presented by the Alumni Association. Competitors will be entered for a chance to win a $50 Campus Store gift card. Participants can also hop aboard Molly the Trolley for a 1-hour ride/tour—two time slots are available: at 10 a.m. and 11:15 a.m. Each ride is $5 per person and leaves from the Tennis Court Parking Lot. All runners should make plans to take part in the UMPI Alumni and All-Comers XC 5K at the Park Family Field at 11 a.m. Events close out with Women’s soccer at 12 p.m., and Men’s Soccer at 2:30 p.m.; both teams will battle Fisher College on the Park Family Field. Throughout Homecoming, visitors can explore the latest show on display at the Reed Art Gallery, Odes and Alliterations, photo-works 2003-2018 by Jeanne Wells. Wells uses medium and large format cameras, and employs a range of antiquarian and alternative printing techniques such as wet plate collodion, photogravure, platinum, liquid silver emulsion and lith printing. For more information about Homecoming 2018, contact Craig Cormier at craig.cormier@maine.edu or 207-768-9425. To view the full Homecoming schedule online, visit www.umpi.edu/alumni. For those making plans to attend Homecoming 2018, register at www.umpi.edu/homecoming-reg.